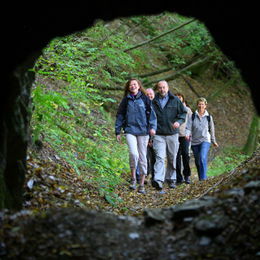 Nature and hiking – the new Quality Trail, Soonwaldsteig in Soonwald and Nahe Nature Park, provides the perfect combination! 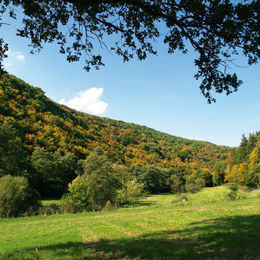 Bitter-beautiful plateaus alternate with deeply incised valleys, and extensive deciduous forests ensure fresh, oxygen-filled air and a healthy climate. 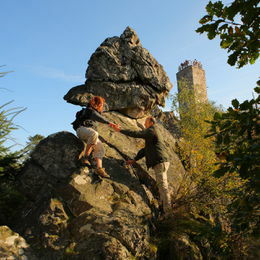 A large diversity of flora and fauna species accompany the hiker, as well as the historical testimonies of old walls deep in the forest, while castles and palaces on hilly spurs tell of the Celts and the Romans. 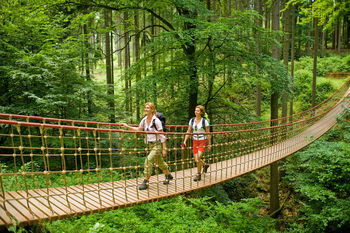 The Soonwaldsteig takes the hiker through an almost untouched wilderness, the like of which is rarely found these days. 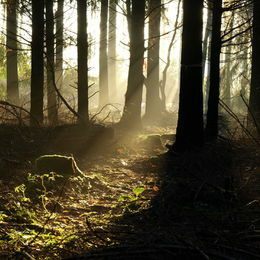 Pure nature and a gentle calm accompany you in this gentle and enjoyable route. 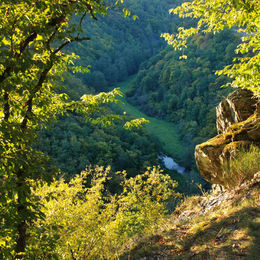 Soft forest paths alternate with narrow rocky tracks, steep ascents and descents, but also quiet stretches, with time for contemplation, characterise the diversity of the long-distance trail. 32 viewing towers and viewpoints guarantee great panoramic views in good weather. Take the time to enjoy the ca. 85 km from Kirn an der Nahe to Bingen am Rhein. Long-distance trail with alternating hotels and luggage transfer. Daily from April to November. 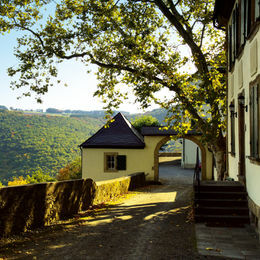 By car or rail by own arrangement to the first hotel on the route, in Kirn. Public parking free of charge. By rail to Kirn Railway Station, the hotel can collect you by prior arrangement. The hike is also possible in the other direction, from Bingen to Kirn! 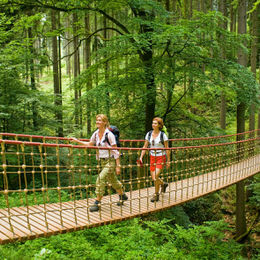 The hike along the Soonwaldsteig ends in Bingen, final accommodation in the hotel there, return home the next day by own arrangement. Timetables for the return rail journey can be found in the travel documents. Where there are fewer than 3 participants, a one-off transport surcharge of 40 EUR will apply.